Jeff has always been passionate about growing an organization within the financial services industry and developing associates to deliver financial security to their clients through a philosophy of care. 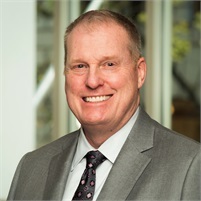 His passion for growth has been demonstrated since he began his career in 1985, when he started as a college intern with Northwestern Mutual and was later appointed and served as Northwestern’s General Agent for Oregon until 2009. With his vision to build a truly entrepreneurial organization within the industry, he recognized the opportunity to create such a firm and, in October 2009, Jeff founded Broad River, a General Agency of the Guardian Life Insurance Company of America®, serving Oregon, Southwest Washington, and Idaho. In February 2017, Broad River merged with WestPac Wealth Partners when Jeff and CEO Nash Subotic joined forces with a combined mission to be the best financial services firm to represent the Pacific Northwest. Jeff, a native Oregonian, was born and raised in Medford, Oregon and graduated from Southern Oregon State College (now University of Southern Oregon). A magnet for personal and professional development, Jeff has also attained industry designations and participated in various executive development opportunities to hone his skills. His dedication to supporting his local community has led him to be involved and to serve on the boards of local organizations. In Jeff’s free time, he enjoys fishing, travelling, and most importantly, spending time with his wife, Rebecca, their Golden Retrievers, and family.